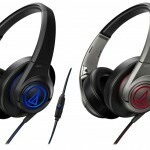 The ATH-CKP200iS headphone is the ideal headphone for people on the go. It is for those who are active and yet they like listening to music whenever they can. The headphone comes with hinged hook that will adjust perfectly around your ears thus providing you with ultimate comfort. It has been designed in such a manner that it can easily fit the ears of the person who uses it. It is compatible with smartphones and other media devices such as Android devices, tablets, iPods, iPads etc. You can easily answer or reject calls or control the volume or track, while using the headphone with any smartphone that can support the headphone. 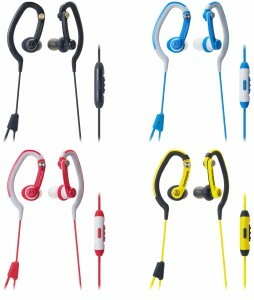 If you are an individual who is very active, likes to jog or play sports, this is the ideal headphone for you. You can enjoy listening to your favorite genre of music, even when you are involved in any sports or physical activity. The headphone will not fall off, even when you move constantly, as it will remain fitted to your ears. It is very sleek and will not provide you with any discomfort, even if you use it for a long period of time at a stretch. 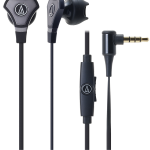 The headphone is equipped with two types of ear tips, namely standard silicone based ear tips and the newly designed (ridged) ear tips which are available in sizes XS, S, M and L. These ear tips help in providing better isolation of sound and also allow ambient sound so that you can remain safe outdoors. 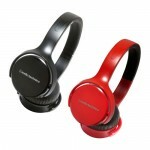 The headphone is offered in 3 different colors, namely blue (ATH-CKP200iSBL), red (ATH-CKP200iSRD) and black (ATH-CKP200iSBK). 1. 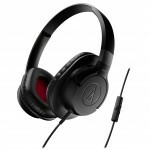 Ideal for active individuals – the ATH-CKP200iS headphone is ideal for active individuals. 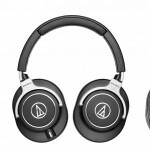 Its unique hybrid design ensures that it can easily fit the ears of the person who uses it. Also, the headphone will not fall off, even when you move constantly, as it will remain fitted to your ears. 2. Optimal performance – the headphone offers excellent quality sound and optimal performance with its 8.5 mm or 0.33 inches superior drivers. It also has a high frequency range of 20 to 22,000 Hz. The ATH-CKP200iS has received mainly positive reviews from the users. 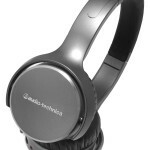 The reviews have appreciated the fact that it is very comfortable and offers good quality sound. The headphones are waterproof and they can be washed, after being used for a while.